With enriched industry experience and knowledge, we are providing an excellent range of Side Flex Conveyor. Designed with extreme accuracy, the offered conveyor is manufactured using finest quality components and advanced technology by our deft professionals. In addition to this, our conveyor undergoes different tests under the direction of quality examiner, in order to ensure its faultlessness. 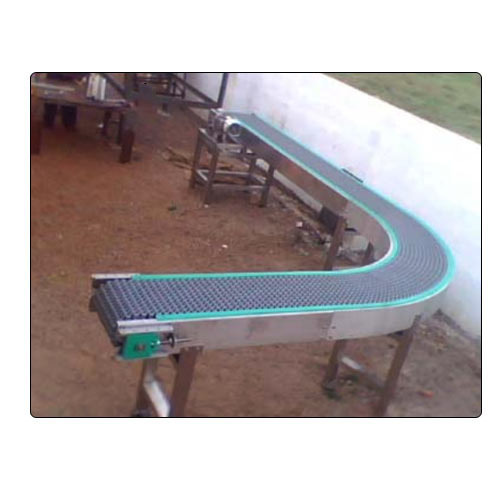 Clients can avail this conveyor from us, at market leading rates. Founded in the year 2012 at Telangana, India, our company “DVL Engineers” is engaged in Manufacturing and Supplying equipments for different fields keeping in mind the needs of our respected regulars. Our product range comprises of Sponge Iron Plant Equipment, Conveyor Systems, ,Packaging Machines and Drum Lifters etc. We are widely appreciated for their high performance, longer service life, quality, durability, seamless finish, hassle free operation, cost effectiveness, easy installation, seamless finish and many more qualitative attributes. Moreover, these can be availed in various sizes and dimensions. The offered products are manufactured with utmost precision by using the finest quality raw material and advanced tools in line with quality norms of the industry. In addition to this, our conveyor is offered in different specifications in order to cater exact needs of our valued regulars.